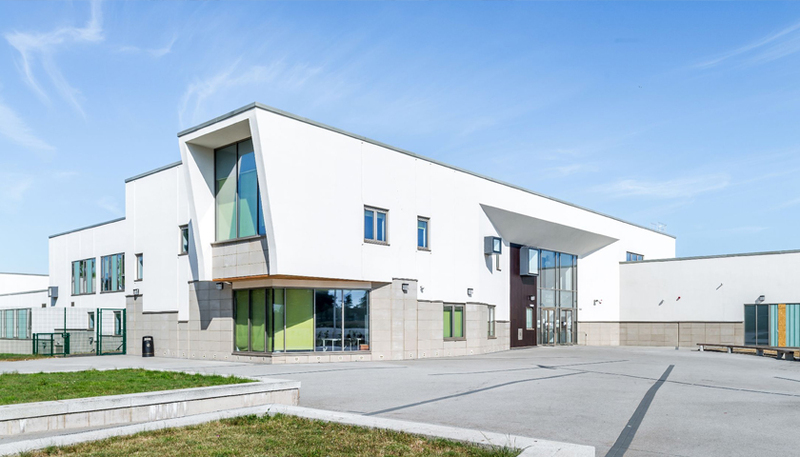 STO insulation system helps create the right impression for major Scottish School ..
One of the largest-ever UK projects to be undertaken using StoTherm Classic M insulation system and the Sto-Rotofix Plus fixing system has now been completed in Scotland. The Sto products have been used on the new Portobello High School, which has been built adjacent to Portobello Park in Edinburgh. “The appearance of the new multi-storey school was an important consideration for this project,” comments Graham Barr of JM Architects in Edinburgh. “Our intention was to create a building which had minimal visual impact on the surrounding residential neighbourhood, and which also fitted the character of the site itself. We were looking for large, smooth surfaces on the elevations, and the Sto solution allowed us to create these as the external wall insulation could be installed without the need for any visible movement joints. StoTherm Classic M was chosen to provide high-level thermal performance for the new building. This EWI system features expanded polystyrene insulation boards and non-cementitious rendering components offering impact resistance of 60 joules – up to 10 times greater than similar cementitious systems can provide. This is a particular benefit for this type of school project where the façade cladding may be subject to harsh treatment. Thoroughly proven in many different parts of the world, the StoTherm Classic M system was finished externally with a through-coloured StoSilco K silicone render finish to add extra protection and enhance the appearance. The Sto insulation was fixed to the substrate using the innovative Sto-Rotofix Plus fixing system. Ideal for use on different types of substrates, the Rotofix system uses a unique helical spiral fixing which allows the insulation boards to be mechanically fixed, quickly and reliably, and then easily adjusted so that a seamless façade can be created ready for rendering. It is stronger and quicker to install, and has better levelling capabilities and fewer components, than any comparable system. The new school now includes state-of-the-art teaching facilities for up to 1,400 pupils, including both indoor and outdoor sports facilities and a swimming pool. To find out more about an insulation system by STO please click here.